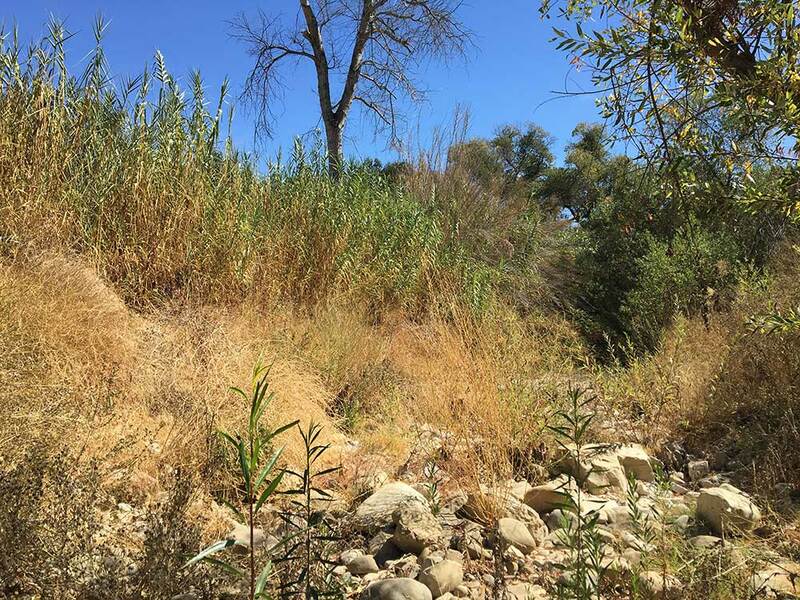 For over a decade, multiple agencies and organizations have been working to remove the invasive plant, Arundo donax (Arundo), from waterways throughout the Ventura River Watershed and all through the state of California. 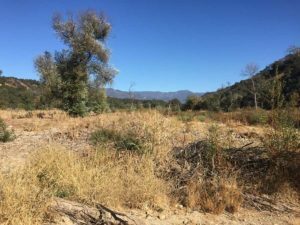 Since this work began, over 150 acres of the plant have been removed in the Ventura River Watershed. 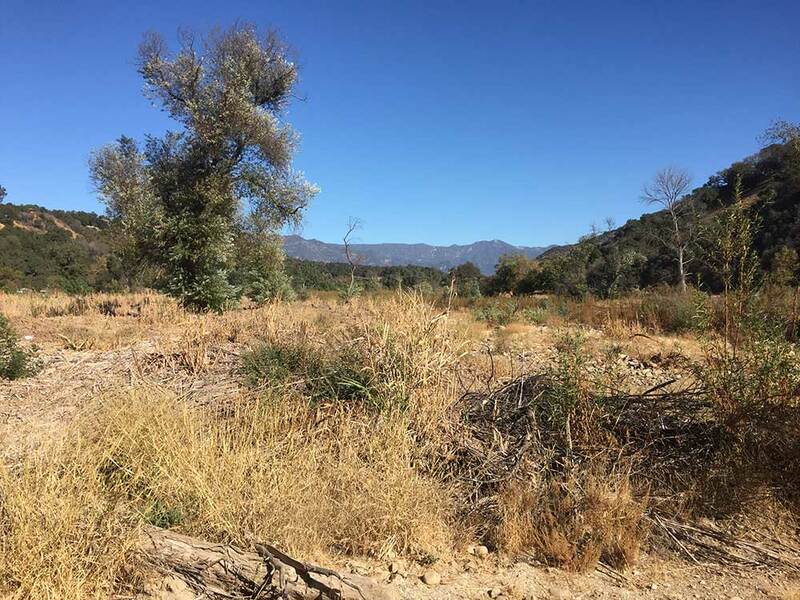 This work continues in our watershed including work being overseen by the Ojai Valley Land Conservancy (OVLC). 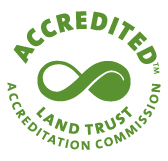 The OVLC is committed to the health of our community and ecosystems, and taking on the largest threats to our environment is one way we can ensure that our important habitats are always protected. 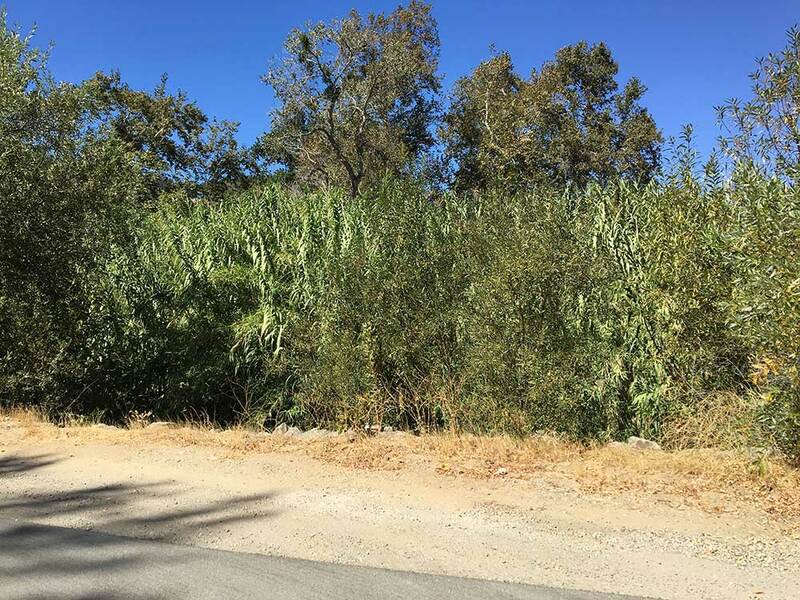 Arundo, a large grass that resembles bamboo canes, is native to eastern Asia, but here in Ojai there are no natural controls on its growth and expansion. One of the fastest-growing land plants in the world (up to two inches a day and reaching 25 feet in height), Arundo will out-compete and kill native streamside vegetation, dry up local creeks, deplete groundwater, present fire and flood threats, and result in the permanent loss of birds, fish, amphibians, and wildlife and their habitats. 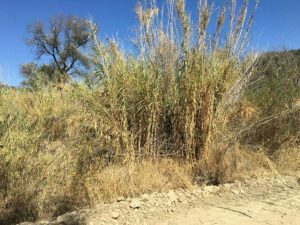 The costs of ignoring the Arundo infestation are high. 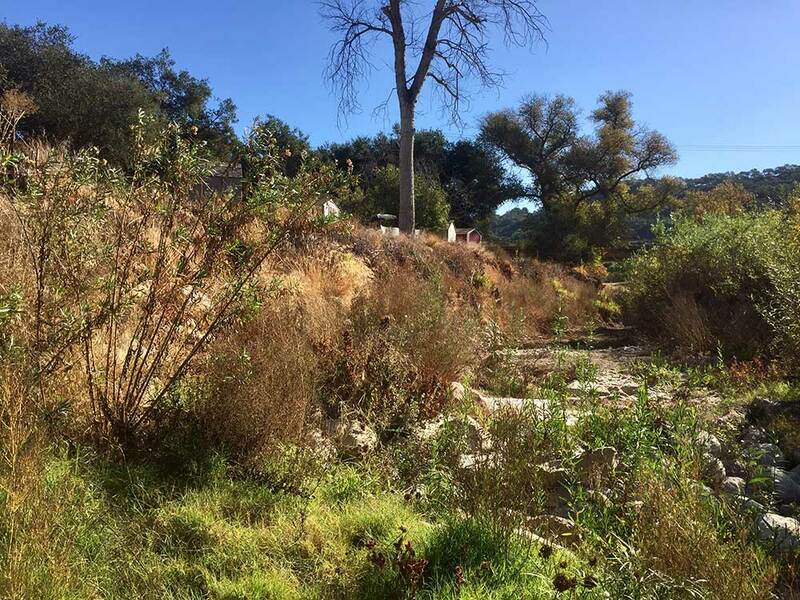 It is important to note that any method used to remove Arundo from local streams will have impacts, and prior to any project the OVLC reviews possible methods carefully to find the method with the least impacts on the site and the surrounding environment. 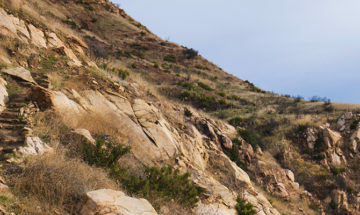 The factors researched include the likelihood of success, cost-effectiveness, the ability to scale the method to the extent of the problem, potential environmental impacts, and project safety. We rely principally on scientific literature when reviewing the options, and continue to follow science to ensure that methods are kept up-to-date. For the removal of Arundo, the science recommends the precise application of dilute formulations of glyphosate-based herbicide. Arundo canes are cut at the ground level, removed and mulched to small chips so no portion of the plant can grow back. The cut stump is daubed with glyphosate within two minutes of the cut so the herbicide can effectively begin slowing the growth of the plant. 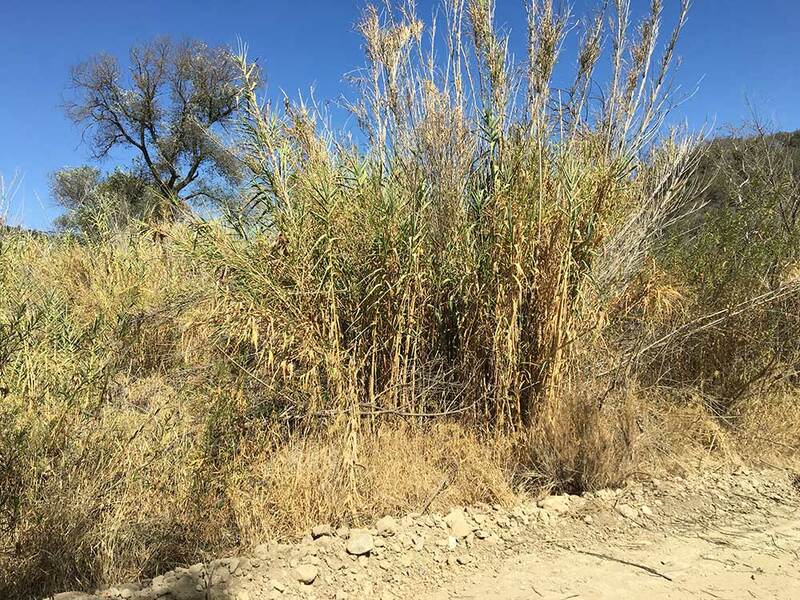 Follow-up herbicide treatments occur two to three times a year when Arundo regrowth is approximately three feet tall. 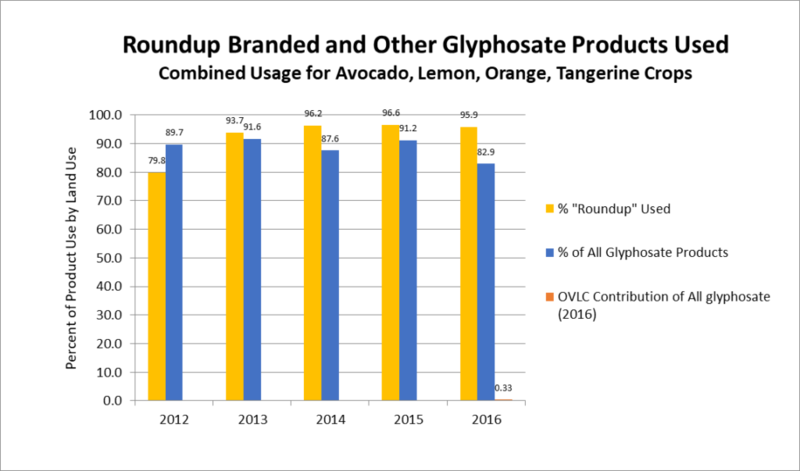 The growth, which is significantly less with each herbicide treatment, is treated with a foliar application of dilute glyphosate – just 5-7% concentration. During all project activities, an independent biological monitor is present to ensure that all environmental protection protocols are being implemented. Additionally, extensive water tests conducted by the Ventura County Watershed Protection District have indicated that this method does not result in measurable levels of glyphosate in our creek waters. Solarization, which involves placing thick black plastic over cut stumps of Arundo has been tested. Unfortunately, the roots of Arundo are so full of energy that new canes (which have similar strength to bamboo) grow quickly and burst through the thickest of plastic. 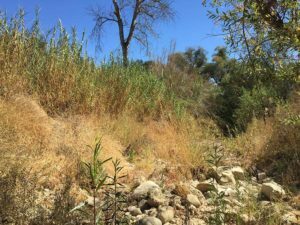 The OVLC is often asked how much herbicide it takes to remove Arundo and how that compares to other uses and total use in the Ventura River Watershed. 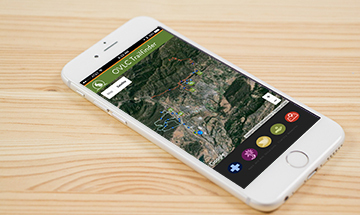 The OVLC values transparency, so we make data available here on our website. 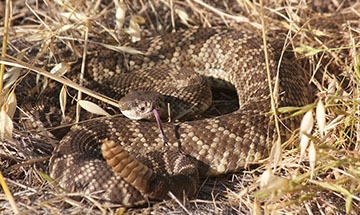 Herbicide use data is collected by the California Department of Pesticide Regulation and reported through the California Pesticide Information Portal (CalPIP). The contractors used by the OVLC report all materials used and their volume to this database as well as reporting to the OVLC. 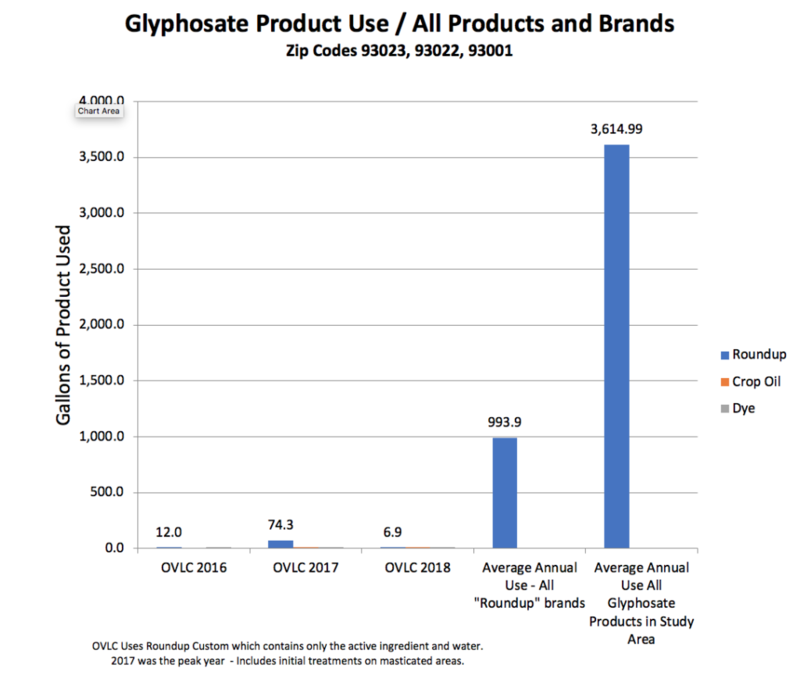 For comparative purposes, the OVLC compares our responsible use of materials containing glyphosate with all uses in the Ventura River Watershed. The CalPIP database lags a bit behind in their reporting, so we use the time period between 2012 and 2016 to establish average annual uses for various user groups. 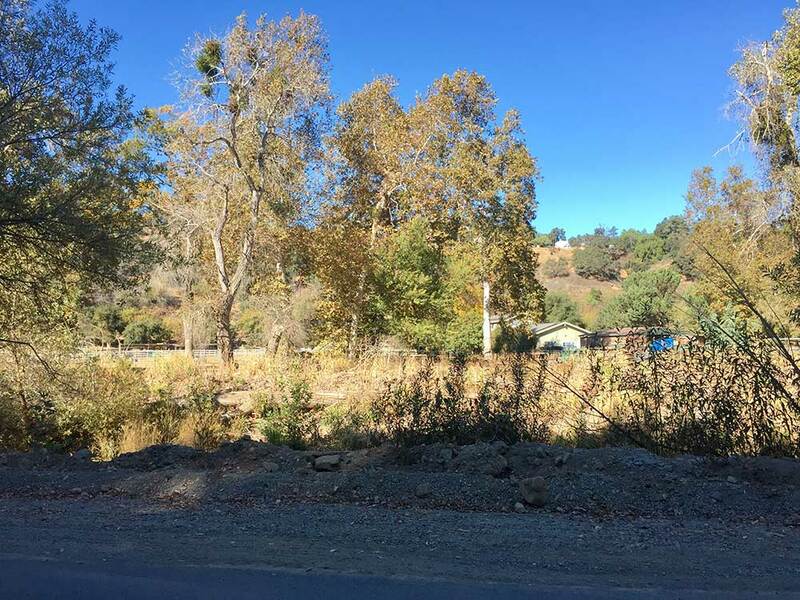 For example, in the years between 2012 and 2016, the average volume of glyphosate based herbicides used by all users in the Ventura River Watershed was 3,614 gallons. 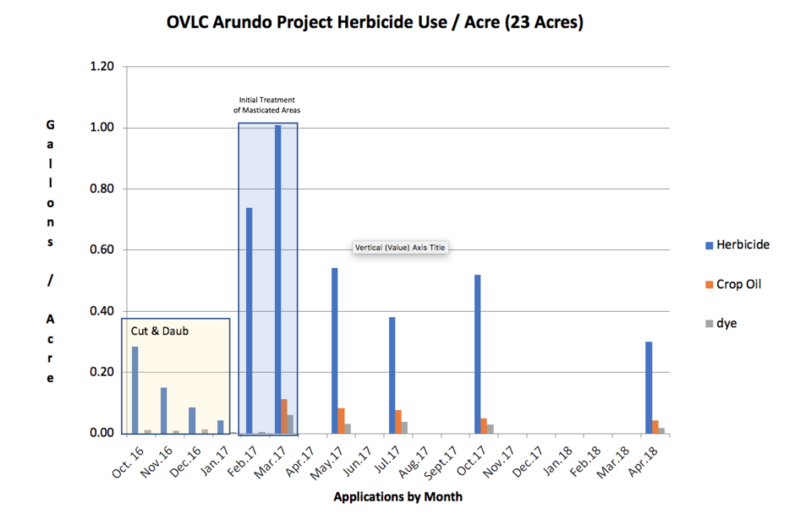 As a percentage of total use, the OVLC Arundo removal project contributed .33% in 2016, 2% in 2017 (first treatment), and .19% in 2018. On average, uses associated with tree crops (Avocado, Lemon, Orange, Tangerine) constitutes about 88.5%. 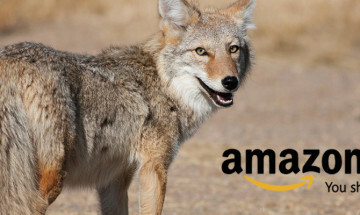 Other uses make up the difference. Use of glyphosate for Arundo removal decreases each year as fewer plants return. The OVLC believes that everyone has a right to feel safe in their community, and the use of herbicide is a legitimate community concern that must be addressed with the utmost care. 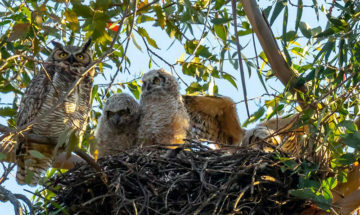 We appreciate local activists in the community that will keep a critical eye on what’s happening in the environment and we expect to be held to a high standard. We believe the chosen methods and safety protocols will achieve project success with the least possible impacts. If new methods are developed that show promise of success with fewer impacts, we will certainly consider changes. 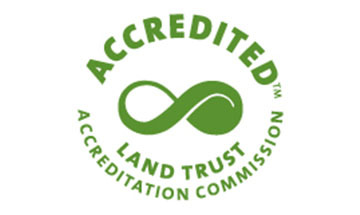 At the end of the day the risks of not removing Arundo remain very high, and taking on the biggest threats to our environment is something the OVLC takes seriously.